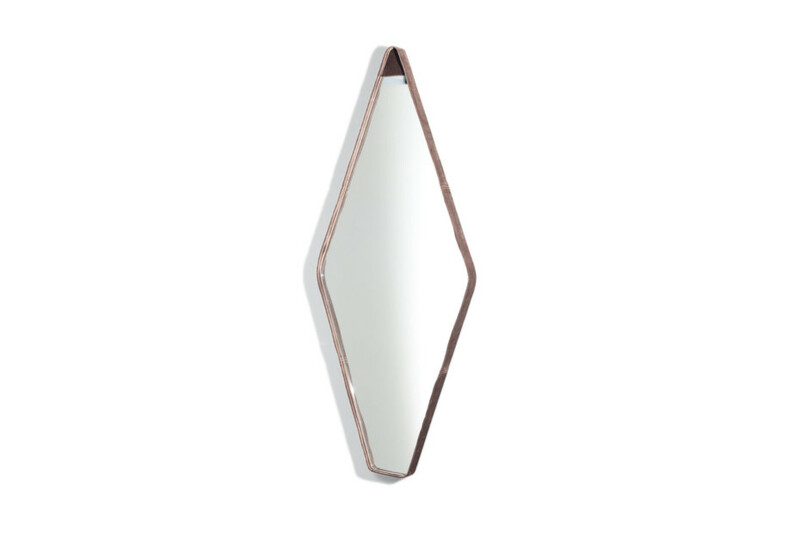 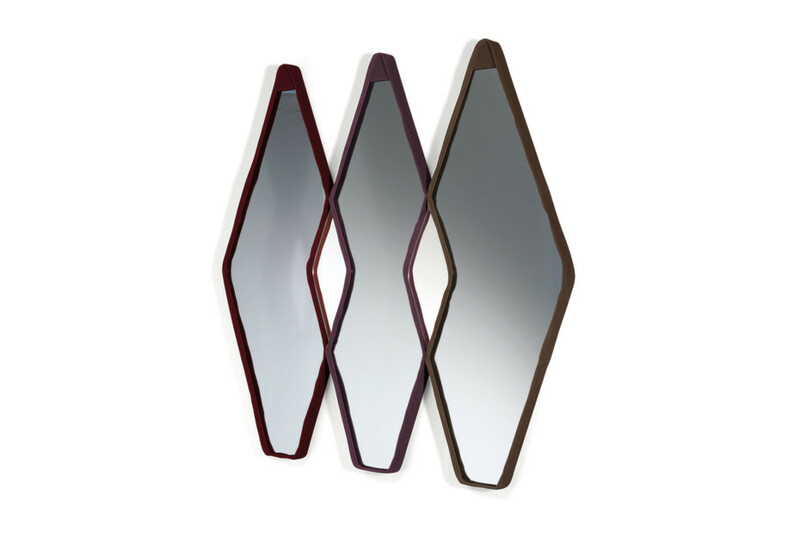 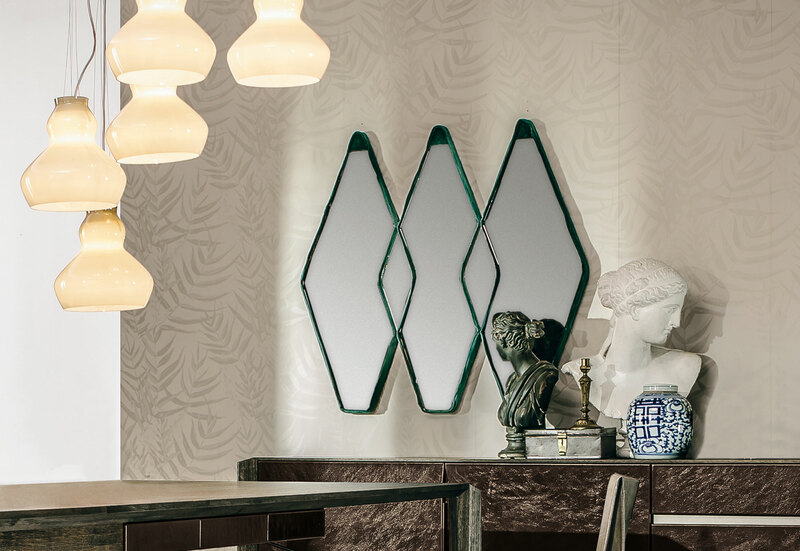 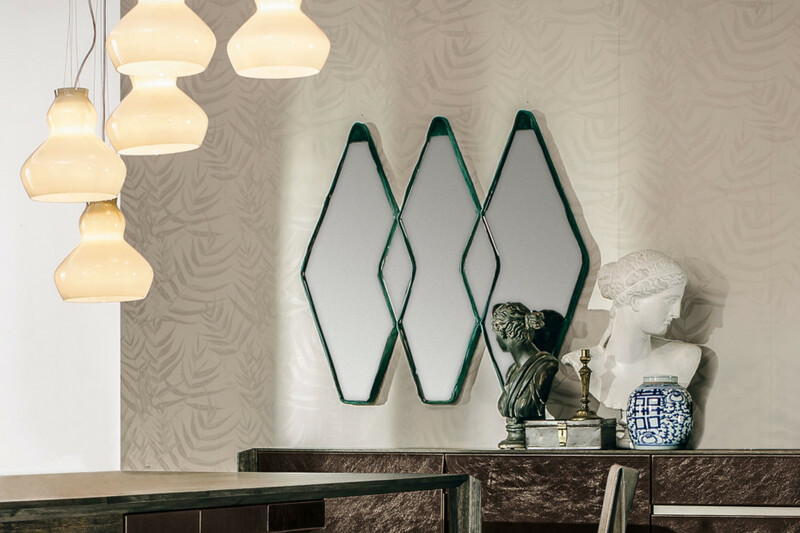 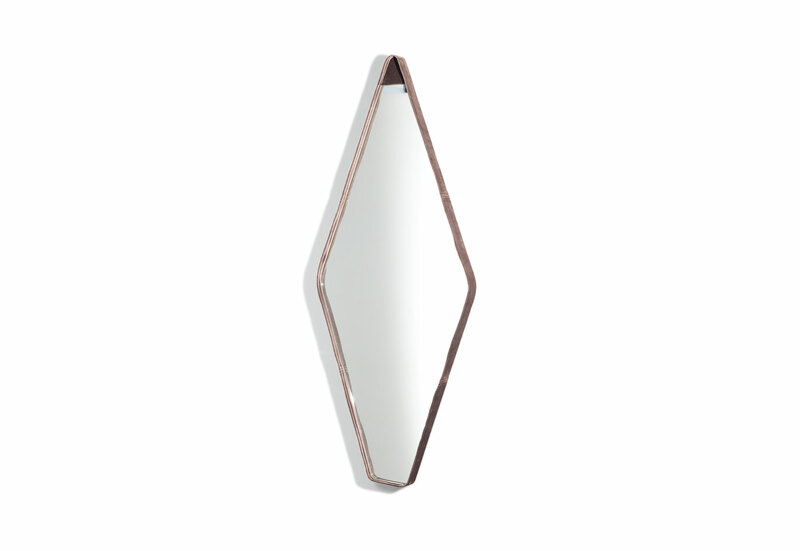 The mirror Vanity Fair by Gino Carollo, is made of mirrored or smoked glass. 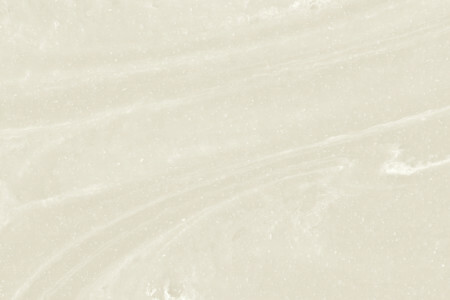 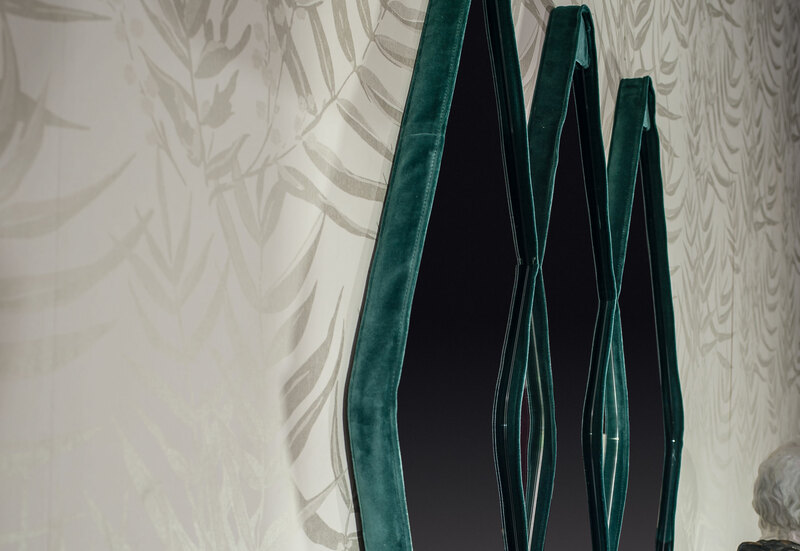 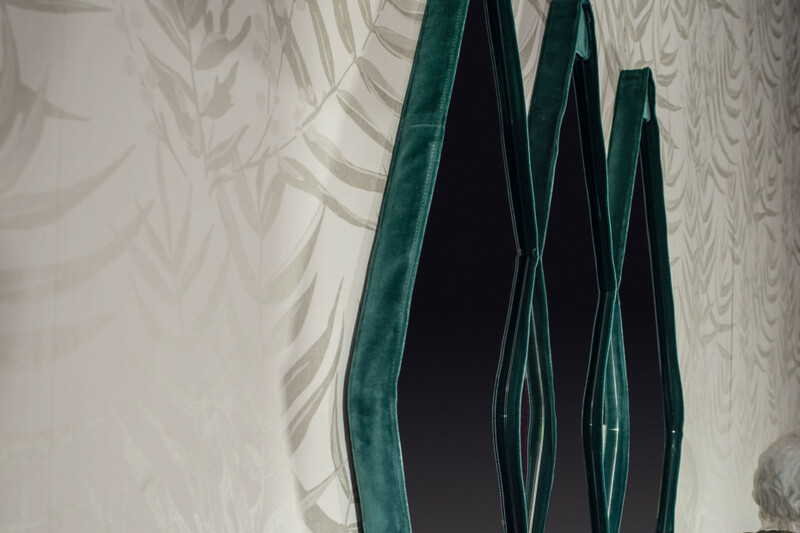 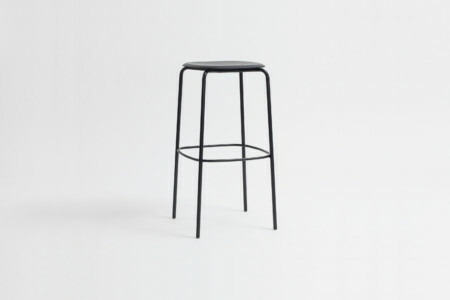 Its cover in velvet gives an effect of discreet preciousness and beauty and contrast with the simple rhomboidal line. 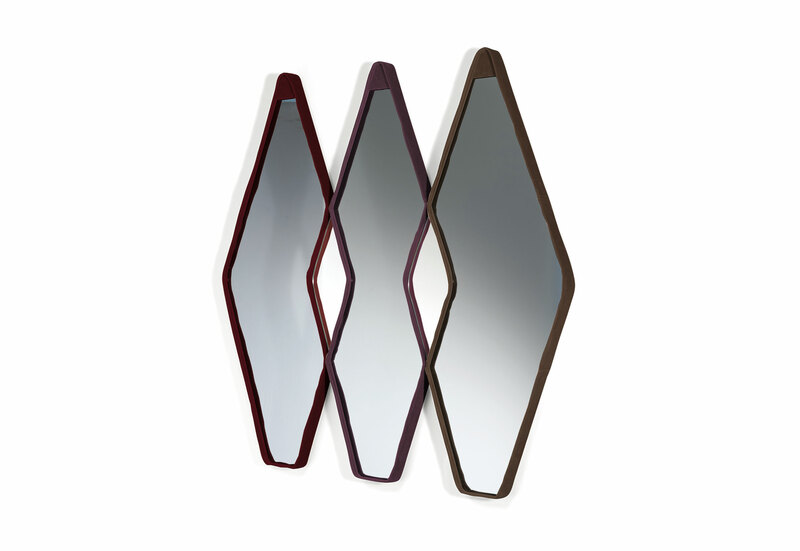 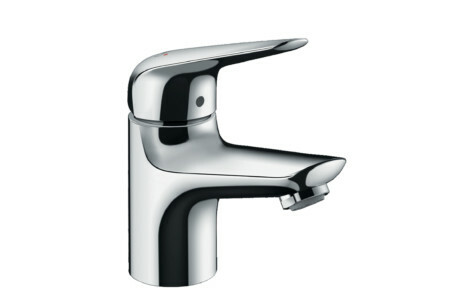 The mirror can be single, double and triple or even place the module side by side along a wall.